One thing’s for sure: Students have more options than ever to earn college credit while still in high school. But more and more, they are finding themselves in guidance offices faced with an important decision: take Advanced Placement or early college courses? What’s the best path to college, while saving money and avoiding debt? While AP courses are time-tested and globally recognized, they require a high exam score for college credit. 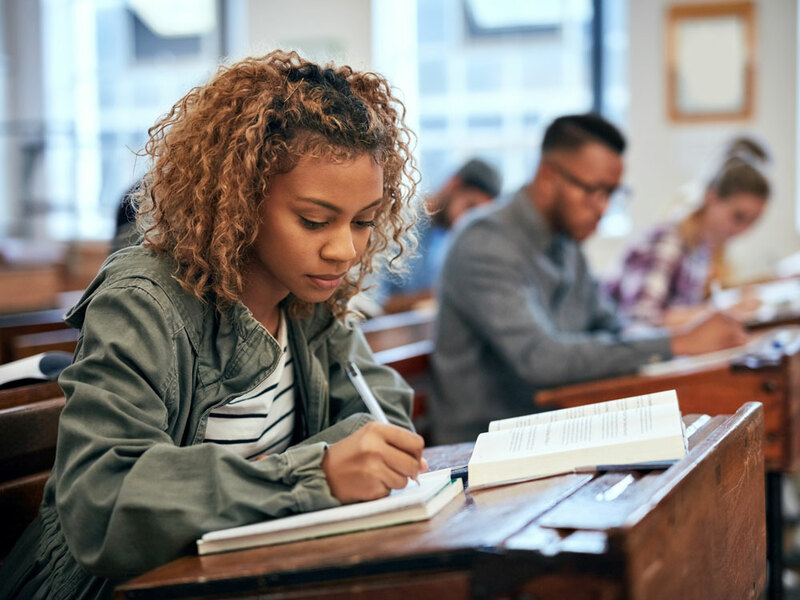 A variety of early college programs allow students to earn college and high school credits simultaneously, without a separate exam, but they don’t transfer everywhere. Advanced Placement Most high schools offer AP classes or the chance to take them online. The program was created in the 1950s by the College Board, which offers college-level curricula and examinations to high school students. Students must pass an exam at the end of the course to earn college credit. Students pay $94 or a discounted fee as low as $15, based on economic need. At East Kentwood, approximately half of the exams are charged at the full rate and half receive a fee reduction; most pay $15 per exam. These are programs that allow students to earn college credits through coursework in high school. Variations include dual enrollment, taught by college instructors, and concurrent enrollment, college-level courses taught by high school faculty. 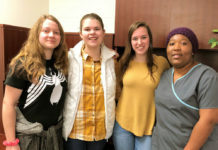 Rockford High School offers dual enrollment in partnership with Grand Valley State University’s Allied Health Sciences program, and concurrent enrollment through Ferris State University. Then there is middle college, for which students can earn an associate degree for free by adding a fifth year as a high school student. Several local schools including Wyoming, Cedar Springs, Ottawa Hills and East Kentwood high schools, have middle college agreements with Grand Rapids Community College. Kenowa Hills offers middle college through Davenport University. Also through GRCC, Ottawa Area ISD offers a certification program at Careerline Tech Center, and Kent ISD offers Launch U, where students earn an associate degree in mechanical design. Several other schools without a full middle college program offer GRCC classes for college credit. So what’s a student to do? Like so many of life’s choices, educators say, it depends. East Kentwood High School also offers both opportunities: a broad slate of AP classes and EK Middle College, through which students can earn a Grand Rapids Community College associate degree for free while in high school. Dan Clark, GRCC dean of Academic Outreach, said about 500 students are involved in the middle college opportunities, and interest is growing statewide. At Rockford High School, students have been offered courses for credit from Ferris State since 2013. This year, 223 students are taking at least one FSU class, Kreuze said. Twenty-one students are taking classes in the GVSU Allied Health Sciences program, where they can earn up to six credits. At both East Kentwood and Rockford, Advanced Placement is a popular program for college-bound students. East Kentwood offers 21 AP courses in English, math, science, social studies and art. Currently, 711 students are enrolled in AP classes. 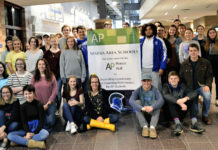 In 2018, the school earned a silver medal from U.S. News and World Report for achievements including having an above-average 47 percent of students take AP tests and, of those, having 63 percent pass. A high number of minority students, traditionally underrepresented in AP, take the classes. In Rockford, 488 students take AP classes among the 15 courses offered, from studio art and calculus to German and psychology. The district has been named four times to the AP District Honor Roll, including last year, for increasing access to underrepresented students and maintaining or increasing test scores of 3 or higher on the 5-point scale. Which path is right for a student depends on goals for college, career and financial needs, educators say. 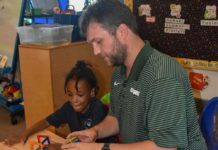 Evan Hordyk, Kentwood Public Schools executive director for secondary education, said the mission is to have a good fit for everyone. Both options help students earn transferable college credits, but there are major differences. AP classes are year-long and taught by high school teachers. Students are required to pass an exam with a score of 3 to 5 to earn college credit. The test requirement of AP courses intimidates some students, said Lisa Jacobs, who oversees Rockford’s early college programs. She recalled a student who passed an AP course, but was so afraid of failing the test that she didn’t take it — and therefore didn’t get college credit. This was before the district offered early college. Had that option been available, “she would definitely have been able to earn the college credits,” Jacobs said. Some students need guidance as to which AP courses they are likely to do well in, Kreuze said. 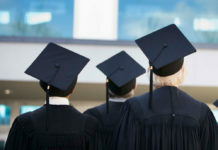 And if they have a college in mind, it’s important they know what its requirements are for receiving AP credit, and what early college courses it will accept, Jacobs said. East Kentwood Program Development Coordinator Heather Downer said she and counselors talk to every student about options. “Some we will encourage to take our AP path,” she said, noting students who are advanced academically may best fit into AP. Also, some universities don’t accept two-year associate of arts credits, while some colleges transfer the credits only as electives, Downer said. Both programs expose high school students to college expectations in a place they feel safe and supported. While the main contact for GRCC courses is the professor, a success coach comes in once a week and students have access to GRCC advisers. Semester-long college classes are an eye-opener to students used to a slower pace, Downer said. But it’s advantageous in that they learn to tackle quicker and less flexible deadlines and more reading in high school. Some schools have decided to focus on one program over another. Kent City High School administrators decided several years ago to invest in dual enrollment rather than AP classes. The high school offers six GRCC classes for seniors to take to earn a total of 20 credits. Principal Bill Crane said 50 percent of students will graduate with some college credit. A few students also take AP classes online. “We felt that students had a better chance of being successful and earning college credit by taking the courses through GRCC,” Crane said. By looking at each student’s goals, grades and financial needs, counselors say they can provide roadmaps to optimize how to get the most out of high school and college at the same time. 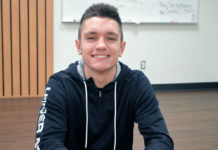 For students like Rockford’s Jacob Simkins, it’s great to have choices.